Well ho ho ho to you and this very festive Photo app! 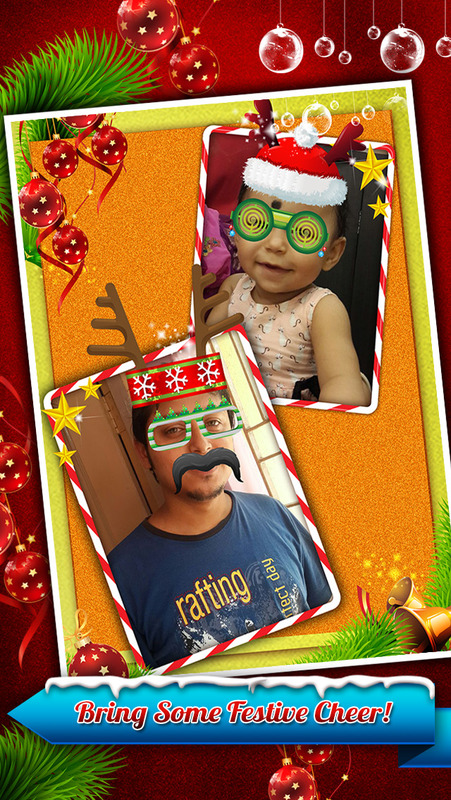 Welcome to Santa Claus Photo Booth, the app that allows you to turn your photographs into real festive experiences! Simply choose a picture from your camera roll, or take a new one, and watch as the magic of Christmas takes over your images! Choose from lots and lots of hats, masks, decorations and even beards, then why not save or share them via Facebook, Twitter, Instagram & Email! It’s definitely beginning to look a LOT like Christmas with this Santa Claus Booth!